A loyal follower of my blog, named Yazid, has graciously volunteered some of his time for an Albert Decaris Stamps! interview. I hope you enjoy it! A: About a year ago. 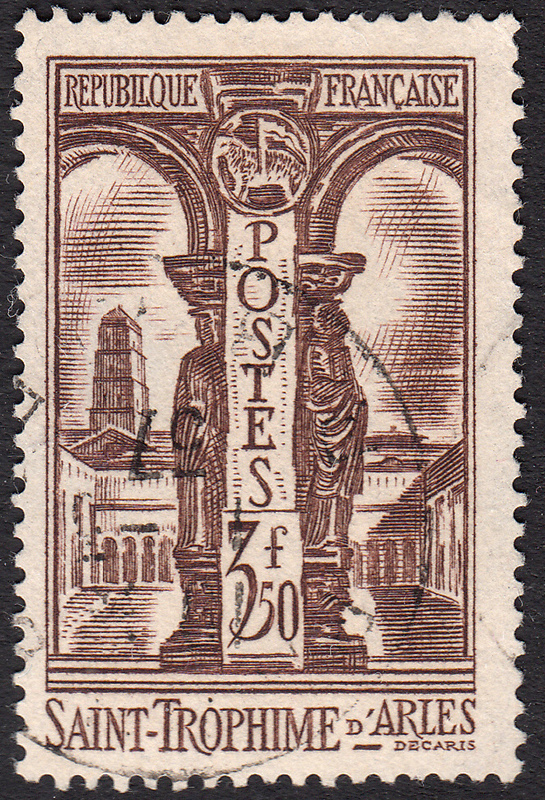 A: I've seen many different engraved stamps, but Decaris had a unique style of engraved art. Very simple yet attractive to the eye. 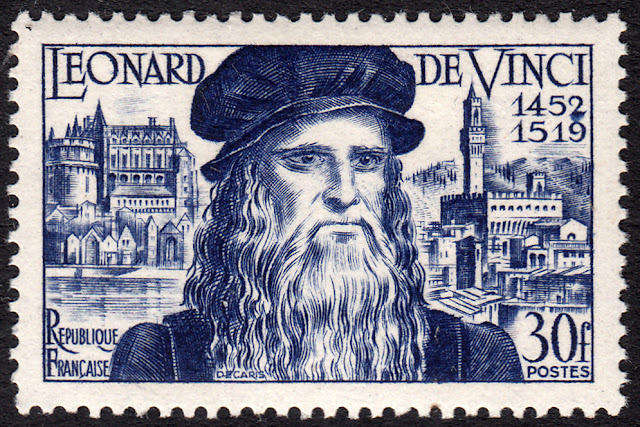 A: Well, there are plenty I like, but if I have to pick one, my favourite would definitely be Leonardo da Vinci issued on 1952. Decaris truly captures the essence of the great man, Leonardo da Vinci. You could say a giant historical figure engraved by a giant of the engraving world. It must have been an Honor for Decaris to be able to do that. A: On ebay, but sometimes I use the French version of ebay, which tends to offer more possibilities to when searching for French stuff. A: I like wikitimbres.fr, which is a French web site. It includes technical details about the stamps and their production. A: I always like to start where the engraver's journey started. Albert Decaris’ first designed and engraved French stamp was the 1935 3f50 value depicting St. Trophime in Arles. A: Yes. I also collect the work of Czeslaw Slania. I like his work a lot. I also admire other French engravers such as Gandon, Combet, Cami, Forget, to name a few. I have plenty stamps from each of these engravers, and some from other engravers, too. A: I like French stamps, especially the French Colonies, but also collect stamps from Britain, Spain, and Belgium. You could say that I collect anything that catches my eye. A: I use stock books and albums with black pages. The black pages, I feel, that enhance the artistry on the stamp. A: There is no right or wrong way to collecting stamps! Collect what appeals to you. Also it's not how much we paid for each item that is important, it's how much fun we get out of them. That's my motto. I'd like to thank Yazid for taking the time to participate in this little question and answer session! As always, if you are interested in being interviewed, post a comment below.